The Houston Rockets will finally have a black jersey. The long-awaited black jersey for the Houston Rockets is finally here. The road alternate jersey, which will not be worn by the team until the 2016-17 season, looks terrific — it’s all black with red trim around the shoulder. No sleeves. It says simply “HOUSTON” on the front. I think it looks outstanding. 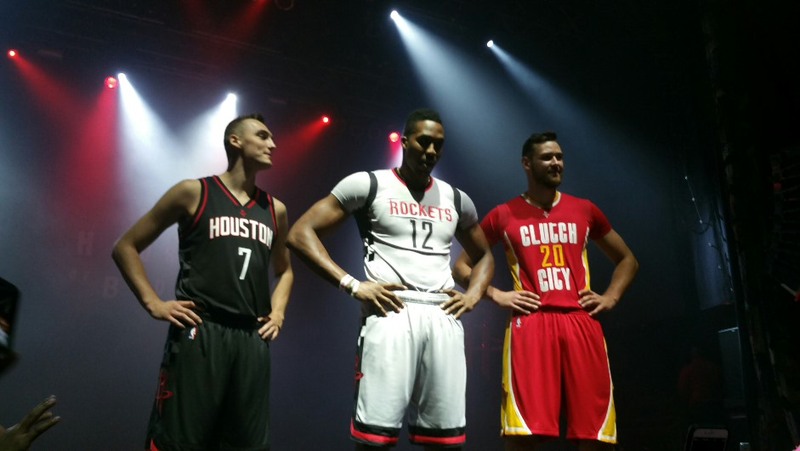 Rockets rookie Sam Dekker wore the jersey in a reveal event by the team Tuesday night. Though the team won’t wear them until next year, I’m told the Rockets are working to get them on sale to the fans later this season. The Rockets also revealed two new alternates that they will wear this season. 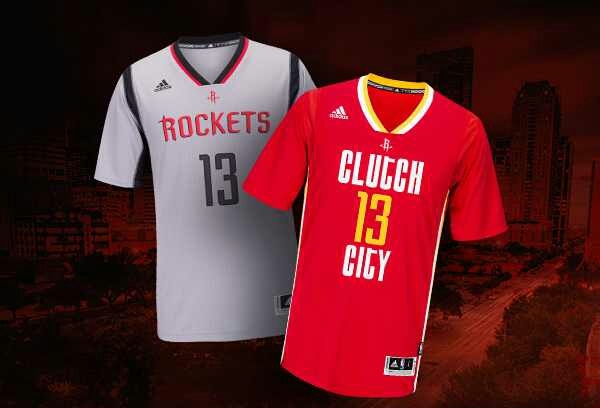 The first is the “Pride” jersey, a sleeved red uniform sporting “Clutch City” on the front. The Rockets will first wear that jersey on 11/14 against Dallas. The second is their new home alternate jersey, a silver, black and red sleeved jersey that they will first wear on 11/25 against Memphis, the day before Thanksgiving. Both jerseys can be pre-ordered now on Rockets.com and will be available to purchase the night they are first worn by the team. The Rockets also will wear a league-designed jersey on Christmas Day when they face the San Antonio Spurs. That’s not all. The Chinese jersey the Rockets wore last season for Lunar New Year will also return this season, but this year’s version will not be sleeved.